Team Taylor County and INFAC North America, a South Korean automotive supplier located in Campbellsville, Kentucky have teamed up to showcase the community’s business advantages to new and expanding businesses. 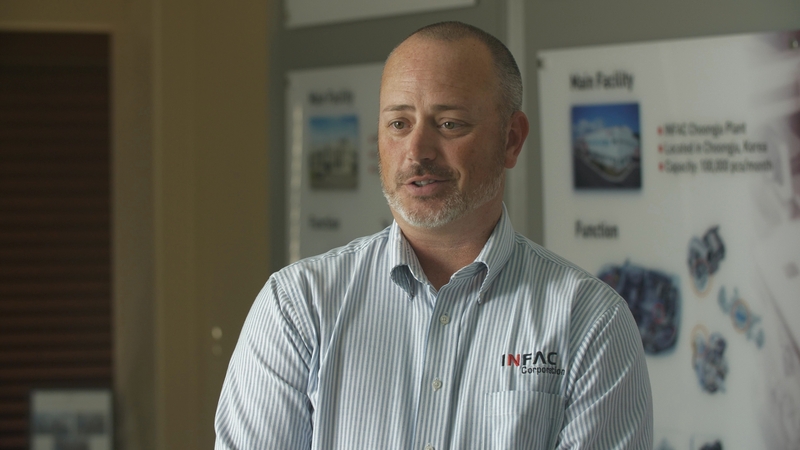 In a newly produced video, INFAC General Manager Brian Bland discusses the company’s decision to locate its North American plant in Taylor County 10 years ago and the many reasons for their success here. Specializing in automotive control cables and a variety of other automotive parts, INFAC’s Taylor County plant employs more than 80 associates, complementing the company’s approximately 2,700 global associates. Together, they produce and ship products all over the world. The INFAC name is derived from two words: Infinite Accuracy, a description that matches the precision and high-quality detail that goes into their production processes and finished products. Bland credits is workforce as its greatest asset, making it possible to live up to their name’s standards. Bland closes the video by inviting all businesses to consider Campbellsville and the region for their economic development needs. Watch the video in its entirety below.